Your first step to success! 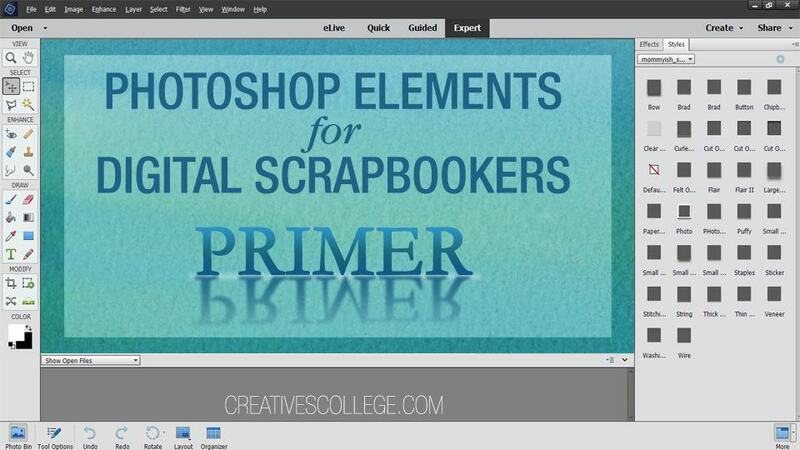 If you are new to Photoshop Elements the Primer course is the place to start. You must be familiar with the software you're using before you can start creating scrapbook pages. In this lesson, you will learn the basics of the Photoshop Elements Interface/Workspace for versions 14, 15, & 2018. An addendum covers how to bypass the Home page in version 2019. The Basics and Beyond is your second step to success. 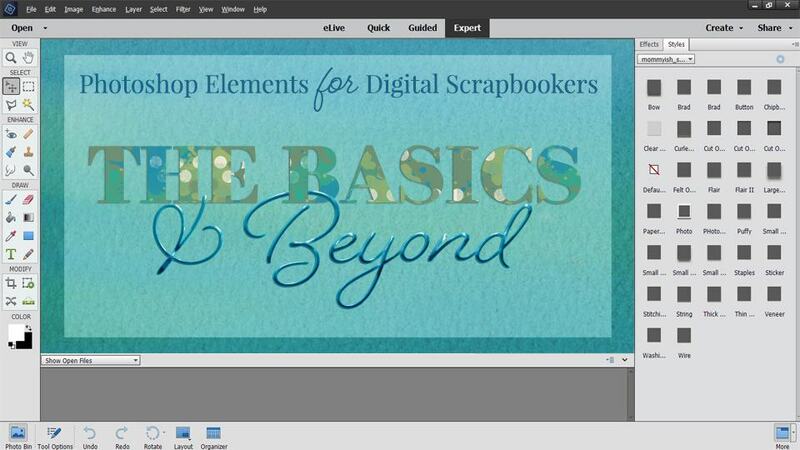 Now it's time to build on the foundation learned in The Primer course and start digital scrapbooking. We start at the beginning and move step by step with each lesson building on the last. Once confident with the basics you'll expand your skill set with more advanced techniques. Lessons are taught using v2018 but work with v15 as well.